This was a highly anticipated matchup with two of the Western Conference powerhouses going at each other. The Warriors have lost both the games this regular season against the Houston Rockets and were looking to finally secure a victory over them. The Rockets entered this game without James Harden who missed the game due to a neck injury. 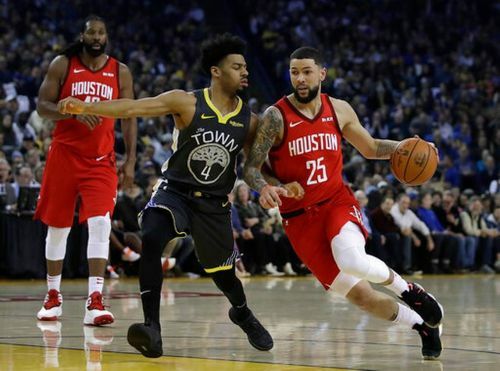 However, the Rockets did not show any signs of slowing down as they started dominating the Warriors very early in the first quarter. The Warriors responded back strongly in the second quarter after losing the first quarter 35-20. The Rockets' lead came down to just seven points at the halftime and the two teams engaged in a very tight contest in the entire second half. In the end, the Rockets managed to hold off the Warriors and take a 3-0 lead in the four-game regular season series against the Dubs. Let us take a look at three of the talking points from this marquee matchup. 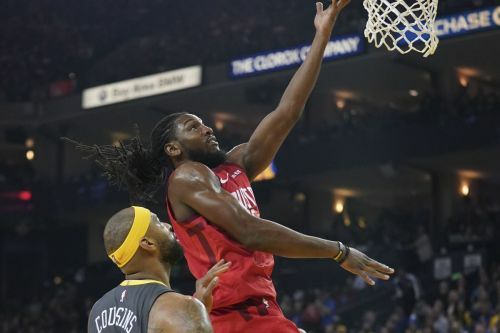 Kenneth Faried chose to sign with the Houston Rockets after the buyout with Nets and that may well become the best decision of his life. Known for his days in Denver, Faried is known for his defensive skills. After signing with the Rockets, he made his presence known very quickly as he is posting eye-catching numbers on a nightly basis. He has also been a walking double-double for the Rockets so far as he has registered 9 double-doubles in just 14 games for his new franchise. Against the Warriors, Faried was very efficient on both ends of the floor and ended up scoring 20 points on 7-for-17 shooting. Out of his 10 rebounds, five of them came on the offensive end it shows how dominant he was in the paint.